You know that bloated feeling I mentioned before? It’s likely because you’re dehydrated. Processed foods contain way more sodium that you’ll find in healthy, whole foods, which leads to water retention. You might feel like you’ve even gained a few pounds overnight, but more than likely, it’s just water weight. Balance out your system again by staying hydrated. Drink, drink, drink water throughout your day, especially when you first wake up. I like to carry around a 2.2-liter water bottle to drink from all day (you can purchase these on Amazon or from your local sports nutrition store). 2.2 liters is the recommended amount of water you should drink each day, so it’s perfect for making sure you’re getting enough! If you find water boring, try adding some fresh slices of veggies, fruit, or herbs to your water. So refreshing! There’s nothing wrong with enjoying yourself, but a healthy lifestyle is all about mindset shifts. So once a new week rolls around, remind yourself of your health or fitness goals. Why do you eat healthy and workout? Hopefully it’s to feel better and take care of your body. Note: this is not a chance to beat yourself up for your less-than-healthy weekend decisions. What matters is the choices you make over the long term, so just jump right back on that healthy wagon and move forward. Since unhealthy foods are often addictive, you’ll likely still be craving them a few days after eating/drinking them. This can make it harder to focus on healthy foods as you re-adjust your pallet again. So, set yourself up for success by having only healthy foods in your home. If your fridge is looking a little bare, make a list of enough fruits, vegetables, and other whole foods to last you the week and go shopping. And only buy what’s on your list! If you’re prone to impulse buying, eat a good meal to avoid grabbing packaged things out of hunger. So you’re staying hydrated, you’re in the right mindset, and you’ve stocked your home with nutritious foods. The last step is about getting on a good sweat. It doesn’t have to be crazy—a good 30-minute workout is perfect for “detoxing” bad diet choices. Choose the type of exercise you enjoy so you don’t get bored, and remember that you’re doing right by your body! Little indulgences are a part of life, so you don’t have to deprive yourself of them. The key is to make them the infrequent exception and be able to jump back on track with healthy choices over the long term. 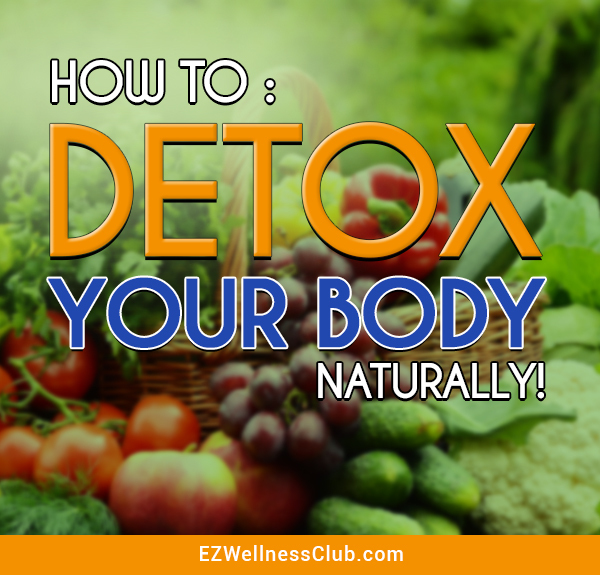 Many people don’t understand how to detox the body in a healthy way, so let these tips be your guide.